Is your advisor ready to be tested? Compare good answers you want to hear with bad ones that are red flags. 1. How do you build a relationship with my family? What sort of information do you seek from me in order to help me? 2. How much more money will you make off me if you give me one type of recommendation versus another recommendation? We spend time listening to and getting to know you. Financial information is important, but we also want to hear your dreams, your concerns, and get to know your family and your background. What you are doing with other parts of your family’s balance sheet outside of us is also critical to helping you. You are a person (or family) whose lives matter to us, and we want to collaborate with you in creating financial strategies that will help you live life with the purpose you want. We also will check in with you to monitor progress and make appropriate changes, especially as things change in your life. We just have you fill out a form with numbers and basic information, like your name, age, income, investments, objective, and risk tolerance. We stick it into a computer and get you a risk score. You can always talk to my assistant for any questions. Otherwise, it was nice meeting you. If you are like most of our clients, there is no difference. The price you pay depends on the size of your family’s relationship with us. The only exception might be for certain clients with highly specialized planning needs. It is likely they might have to pay additional fees depending on the length and complexity of the project. Oh, that is not really the important issue now, is it? It really depends. What is more important is that you take the product that I really want you to buy. 3. What other forms of compensation do you or your firm receive besides the fee that I pay you? Can you still make money on me through someone else charging me on the back end and sending you or your firm a check? 4. If you make a recommendation and I accept it, how can I come back and ask you questions? Or are you going to spoon me off to some junior advisor and I never speak to you again? The only fee you pay us (unless you use us for special planning or consulting projects) is the quarterly management fee. We do not make money on you trading nor receive any kickbacks from any investments we put into your account. We are independent and thus do not offer you investment banking deals like the big shops do. Of course, you have to pay for trades made in your account. Our firm makes it easy for you by charging you an additional annual fee to take care of that. I also personally might get some marketing reimbursements from the investment products you hold. 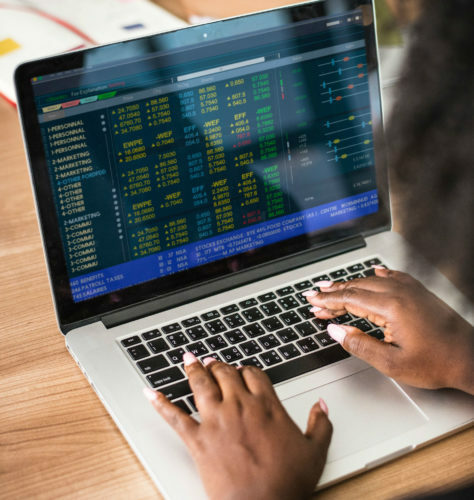 My broker-dealer also helps me out when I buy products off their preferred list or let you participate in public stock offerings underwritten by our investment bank. You have nothing to worry about! Our clients are relationships, people and families who are unique and special to us. You will speak with me, the owner, when we do annual reviews and follow up. We can talk on the phone as needed. We want to follow up with you because our business model is based on building our relationship with you. Sure, you can always speak to my assistant. My associate will do your annual reviews from now on. I might come in and wave at you for 10 seconds if I have the time. You are in good hands with the product I sold you. You can rest assured I am on top of things. 5. How often will you update me not just on the recommendation, but also see how I am doing (and if any big changes in my life have occurred)? 6. Are you paid simply based off the fee that I pay you on this relationship? Do you or your firm make additional compensation that I do not directly pay for? A big part of our relationship is keeping in touch with you. We do not limit it to an annual review, but we also reach out to you at other times. Not only does it help you to check in on us and what we are doing, but we also want to know how you are doing. 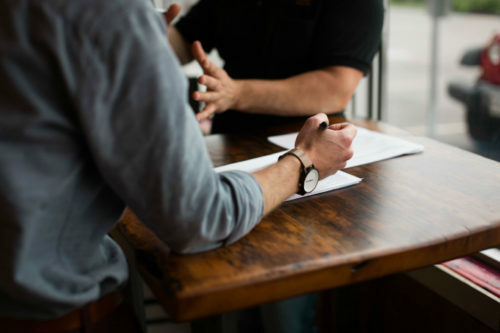 We are constantly trying to find ways to help our clients, even in areas where we might not have the direct expertise, but we can point you in the right direction to experts we know and trust can help you. My junior associate will follow up with you for your yearly checkup. If anything big happens in your life, just let us know! Otherwise, we will just assume everything is fine. We only earn revenue for direct work that clients pay us. Management fees and, in select cases, fees for consulting and planning work are our only sources of revenue. You pay me out of your wallet a management fee. Ah, but you do pay my firm an annual fee for trading (so you do not get charged on every ticket). You don’t pay me, but my mutual fund and annuity companies reimburse me for my hard work in marketing you their products. I might also get a bonus from my broker-dealer for selling you their preferred list of products. Oh, let me not forget all those bond and stock deals I got for you from my bank! Sometimes, I don’t hit bonus target, but my firm still makes money off you! 7. Do you care enough to discourage me from investing more money with you if you think it would benefit me not to put more money with you for now? 8. Who are the types of clients that you best work with? How do you know I am one of them? There are times when we tell clients not to give us more money to invest. When we think the client benefits, we might tell them to leave the cash alone to meet a near-term future obligation or pay off debt to improve their cash flow. We lose the opportunity to make more revenue, but we also believe the success of our relationship depends on the happiness and well-being of our clients. Seeing our clients do well is our number one priority. We can always take care of you. Don’t you worry about your money. Worst case is I can put it into my low risk product here. Clients who benefit the most from us are people or families with sufficient investible assets and complex needs. They see the value of a partner who can help them navigate through major issues, not just financial, but personal as well. Happy clients are those who use and benefit from our services for living their lives the way they intend. Conversely, people who have no desire to engage with us are not a good fit with us. In fact, we let go 60 of such clients to focus on those who really need our help. Our firm has so much product and capability. We can work with virtually anybody, especially billionaires. Our clients are so pleased that they hardly talk to us because they are so happy with the results we give them! I am sure you will do just fine. 9. Are you concerned about my prosperity enough to have “hard conversations” when my financial strategy will not work with my lifestyle? 10. How are you protecting my personal information? We do at times have some ‘hard conversations’ with clients about the risks and likelihood of their financial succeed supporting their dreams and goals. For instance, some clients need gentle but firm reminders that stocks do not always go up and they ought not to base their plans on assuming high returns continue. Others have a good plan but need encouragement to stick with their commitments.We also have had a few conversations where we realize that they are not benefiting from our relationship. If we give you the right plan and put you in the right strategy, you should be just fine. Call us if anything changes. Mandatory phone calls to clients with security questions to protect client identity. That is not our job. We work for a big organization. They take care of your data. I’ll look into it and get back to you.